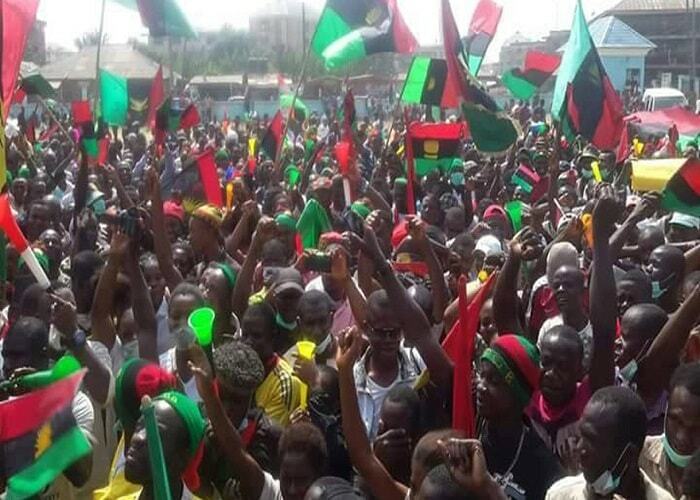 The Movement for the Actualisation of the Sovereign State of Biafra has warned Nigerian government to stop playing with their emotion over the approval of the second Niger bridge. It rather, asked the Federal Government to declare an emergency on the roads in the South-East and South-South regions of the country. MASSOB said rather than make empty promises on the construction of a second Niger Bridge, the Federal Government should concentrate on the reconstruction of the bad roads in the two regions. National Director of Information of the pro-Biafran group, Mr. Sunday Okereafor, wondered why roads in the South-East and South-South had become death traps, whereas the Federal Government was promising to construct a second Niger Bridge. Okereafor was reacting to the recent pledge by Vice-President Yemi Osinbajo to deliver a second Niger Bridge to the people of the South-East. Okereafor noted that such promise was a mere election campaign aimed at getting Ndigbo to vote for the All Progressives Congress in 2019. “Rather than making empty promises, the Federal Government should declare a state of emergency on the roads in the South-East and South-South. It is surprising that major roads in the South-South, where oil is produced, are in deplorable condition. “The promise is an empty one. What of our roads? Even where they produce oil, the roads there are still bad. From Rivers State to Enugu, from Enugu to Onitsha, the roads are all death traps. “On the second Niger Bridge, former President Olusegun Obasanjo awarded the contract, ex-President (Umaru) Yar’Adua talked about it; former President Jonathan also promised to do it and now, President (Muhammadu) Buhari is promising that his government will construct it. “We are telling Ndigbo not to believe them (FG). It (promise) is only aimed at getting their votes in 2019. The second Niger Bridge cannot work. They should repair the bad roads first,” he said.